No home office is complete without a place to store important household files and business documents. Metal filing cabinets definitely fit the bill providing a place to keep your paperwork organized and secure. Do you often wonder why filing cabinets are terribly unattractive? 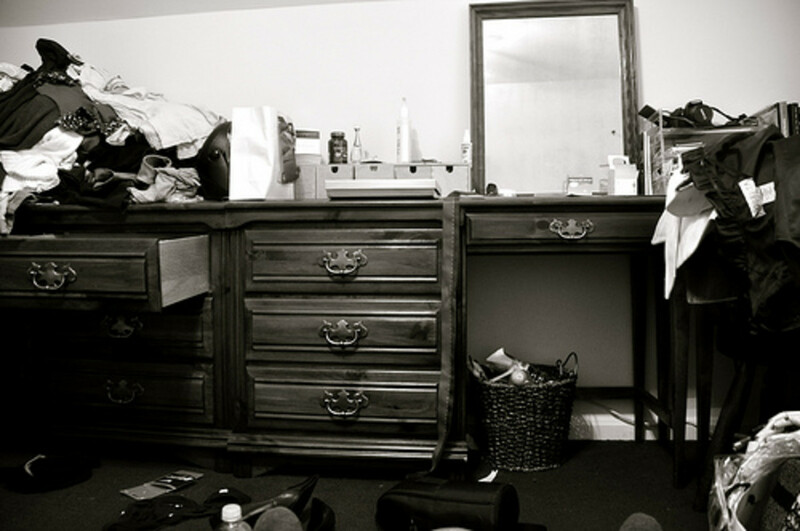 That's the reason they often end up relegated to a closet or corner of the basement due to complete lack of style. Resist the urge to kick your clunky filing cabinet to the curb. 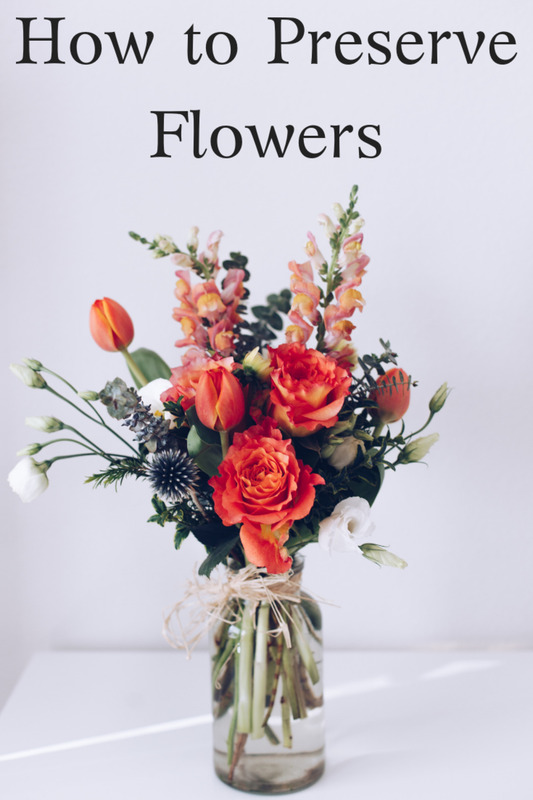 You can easily transform one from a design eyesore to eye candy in several hours with a few supplies and minimal effort. 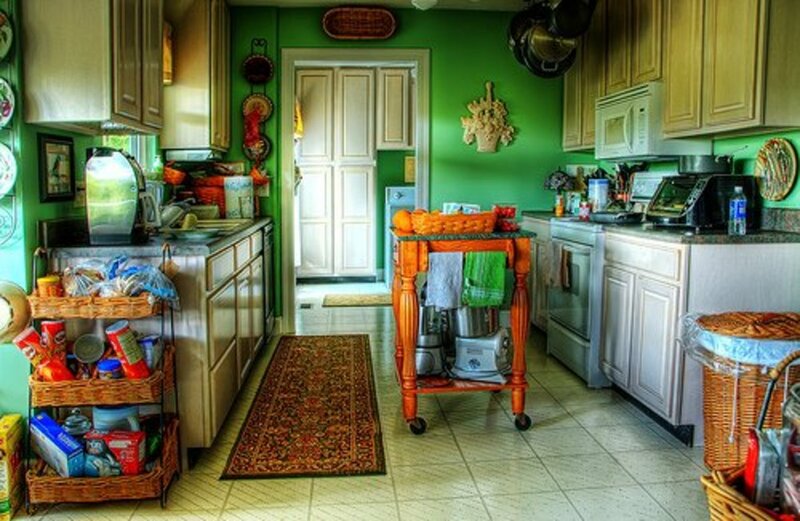 Here are several easy and creative solutions to give them a fresh makeover. 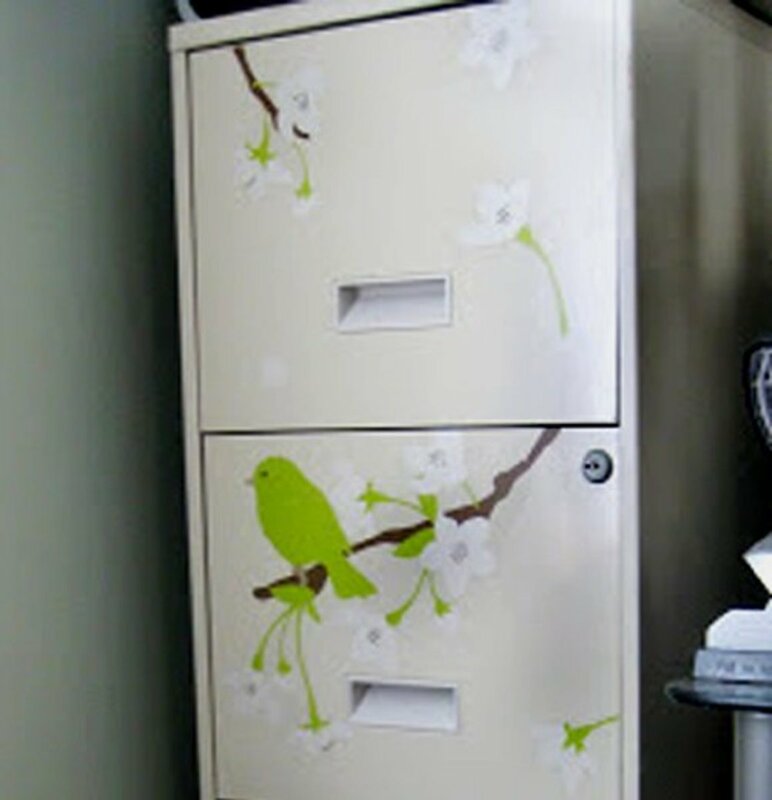 If your'e satisfied with the surface condition of your filing cabinet consider giving it a quick update by decorating it with whimsical wall decals. Choose from floral, animal, natural or geometric shapes to create an all-over custom motif. Thoroughly clean and dry the surface and position the decals in a deliberate or random pattern. You can remove the old ones and apply new decals to suit your mood or a change of room decor. Most wall decals work on a variety of smooth surfaces including metal. 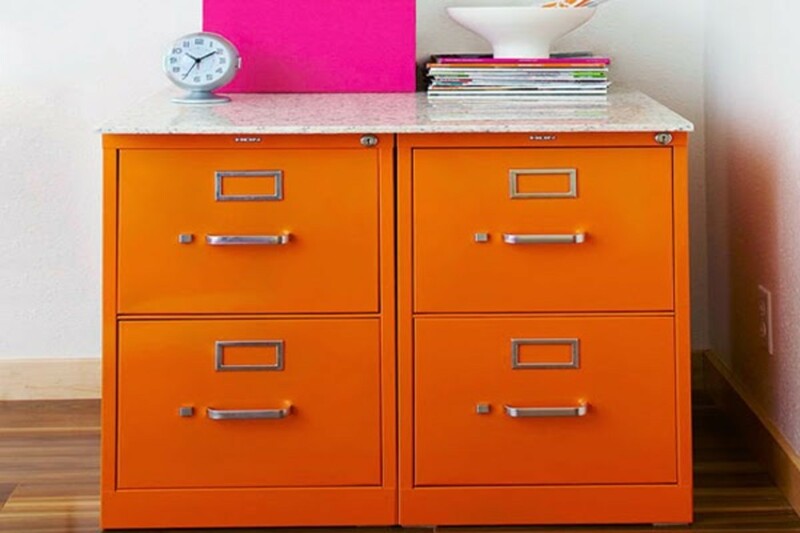 Renovate your rusty filing cabinet with a light sanding and new coat of paint. Go ultra modern with an all-over high gloss finish. 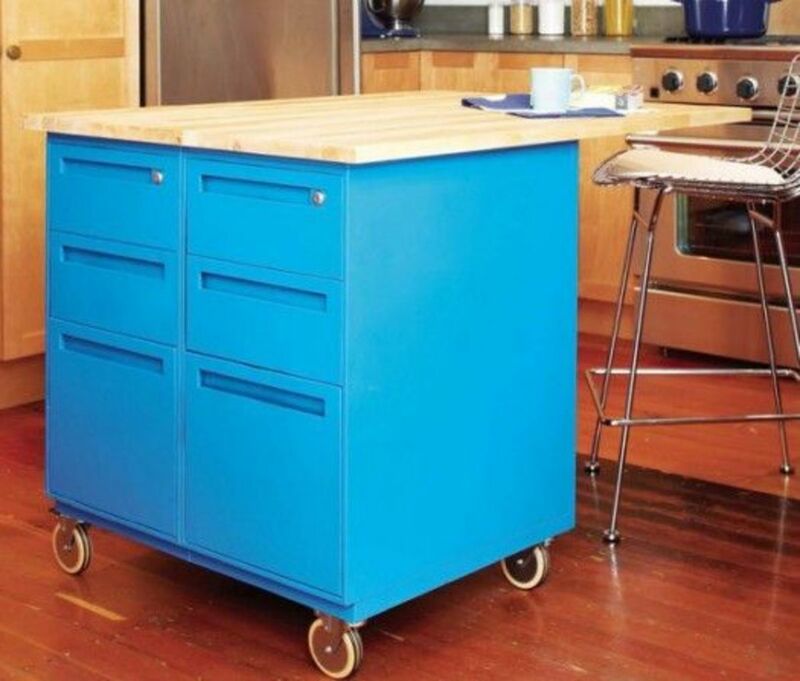 Instead, you can paint the body in a single color and each drawer front in a different hue for a color block effect. If you want to create geometrics use painter's tape to create crisp stripes or a trendy chevron pattern. A filing cabinet covered in chalkboard paint instantly transforms it into a message center or a spot to display inspirational quotes. Choose spray paint formulated for use on metal. It is your best bet to ensure a smooth, professional finish. If there's too much rust on the top and sides it might be best to use a stain blocking primer after sanding and before painting. Spray in several light coats to prevent drips. 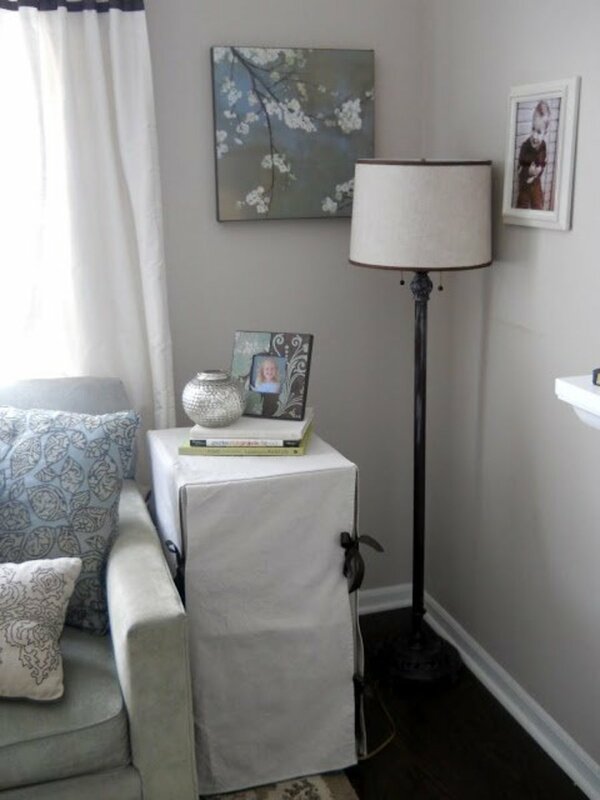 Show off your sewing skills by whipping up a tailored filing cabinet slipcover. Your metal filing cabinet can serve double-duty as a chic bedside or end table in a multi-functional room. Fabricate a simple one-piece cover that fits over the top of the cabinet. 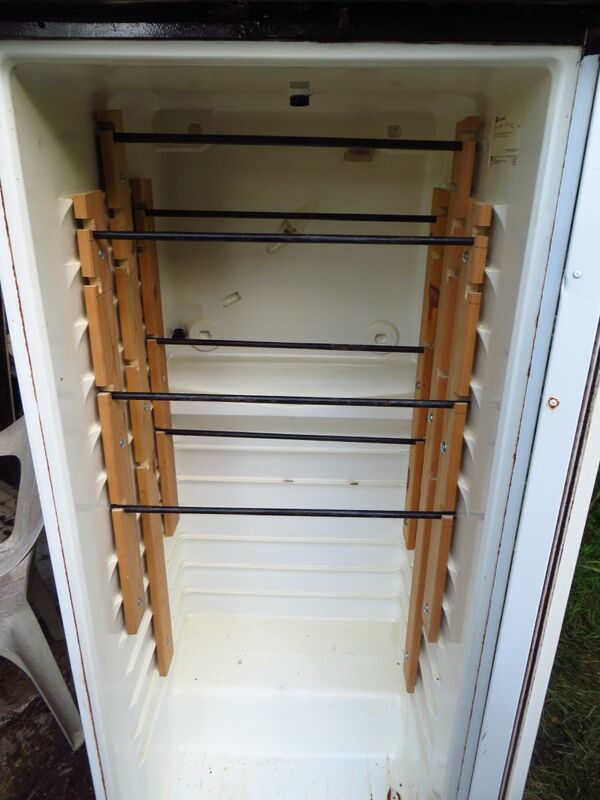 Raise or remove the cover when the file cabinet is in use. For easier access include a front flap that lifts to expose the drawers. Secure the flap to the side panels with buttons, snaps or decorative ribbon ties. If you are not a sewing whiz camouflage your metal filing cabinet with a wood top and drape it with a ready-made tablecloth. Place a glass table topper on your filing table to provide added stability and give it a clean, finished look. If the thought of papering a metal filing cabinet sends chills up your spine--worry not. This project is a breeze even for wallpapering novices. Keep your stress level in check by papering the drawer fronts instead of covering the entire cabinet. Rise above that boring beige or gruesome gray metal paint. 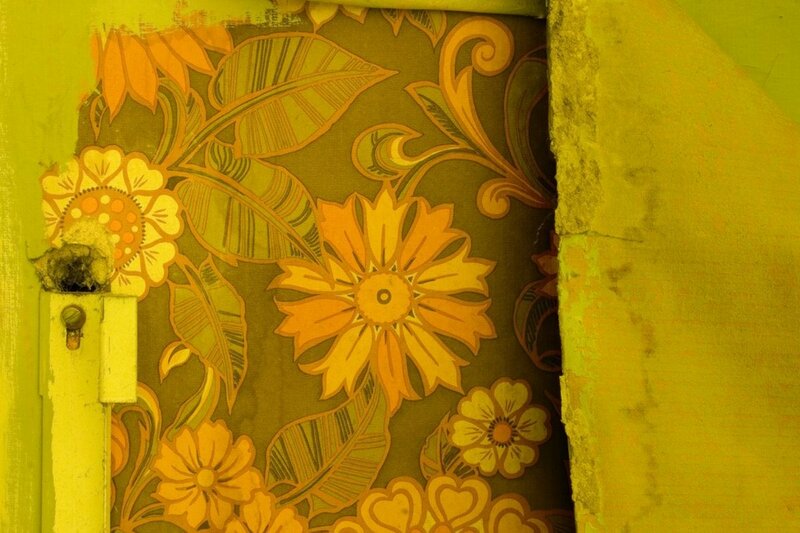 Select a wallpaper pattern with colors that complement your cabinet color. 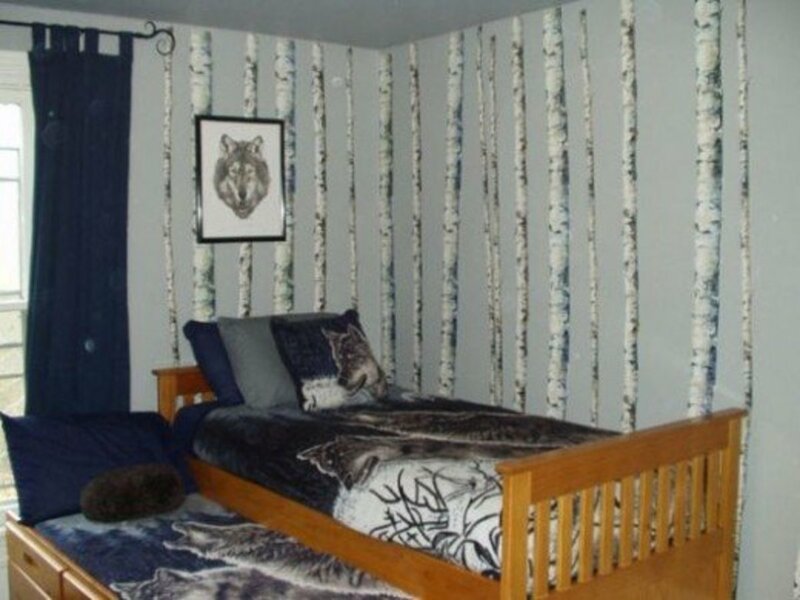 Pick up discontinued samples from a local wallpaper supplier or home improvement center if you are on a budget. 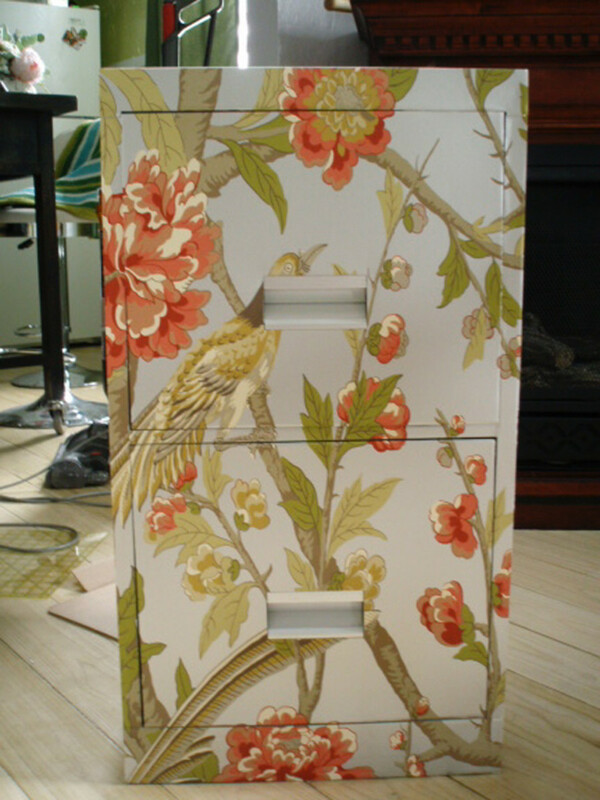 Use decoupage glue to adhere the wallpaper to drawer surfaces and as a final sealer to protect the finished product. If possible, remove hardware before papering to reduce the number of cuts. If you feel tentative about testing your decorating chops on a brand new filing cabinet head to the local thrift shop and pick up a gently used model for a fraction of the price. You can freely express your creativity without guilt, update your find and save money at the same time. I enjoyed reading this article so much. Thanks, Linda for the ideas.